You are currently browsing the Tim Pratt blog archives for July, 2011. There are so many cool things going on, but most of them are still in the early stages, so I can’t tell you much. But in coming weeks and months I should be able to share news of a couple book deals, and awesome cover art, and other fun things. I’m happy and crackling with excitement about so many things I’d have to make a list to count them all. Grim Tides will have criminally insane sorcerers, omnicompetent valets, fire dancers, terror snorkeling, occult detecting, a legion of supervillains, wandering genius loci (yes), and the fundamental underlying question of what makes a place your Home… It’s going to be such a cool book. Late Sunday night, after a weekend consisting largely of marathon editing sessions, I turned in my Pathfinder Tales novel City of the Fallen Sky. So… I’m done! No novels due for the next six months. No real fiction deadlines in the next few months at all, apart from a couple of short stories. I am faced with unprecedented-in-recent-months amounts of free time. (Naturally I’m tempted to start writing the new Marla novel, Grim Tides, except I think diving into another novel right away would kill me, or at least, damage my tender brain.) I’m thinking I’ll take it easy for a month or so. Read a lot. Hang out with the wife and kid. Play some video games. Try to remember what color the sky is in the real world. Should be good. I don’t mind deadlines, but this summer has been an unspeakable nexus of deadlines, a configuration of brutal overlapping intensity, and now… the weight is lifted. Tonight: beer and celebratory Chinese food. Not that I can afford Chinese food, really, but I turned in two novels in the past ten days, and those deliveries will trigger payments, and I signed a contract for another novel this week (can’t tell you about it yet), which will also lead to money in the near-ish future, so, screw it: I can splurge and order in. Isn’t the writing life glamorous? Sat 2:00 pm – 3:00pm (ish), I’ll be reading for ten minutes at the EDGE party in the Con Suite sometime during this hour, probably closer to two. After much pondering and flipping through a thesaurus and gnashing my teeth and googling around, I’ve decided to call the next Marla Mason novel Grim Tides. So there. Now I can think about actually writing the thing. The plan is: launch a Kickstarter fundraiser in September. If it gets funded, I’ll actually be able to afford to write the book (instead of finding another work-for-hire job). I’ll write it with an aim toward serializing it online starting next spring. (Beginning April 2012, I suspect, though maybe earlier.) I’m excited! And the characters are starting to mutter at me more and more insistently every day. What Should I Call the Sixth Marla Mason Novel? I’m going to serialize my sixth full-length Marla Mason novel next year, but I can’t decide what to call it. It’s set mostly in Hawai’i, and involves (basically) a group of powerful old enemies who try to kill Marla while she’s in exile and relatively unprotected. Some title contenders are below, as suggested by me, my wife, and our friends Greg and Jenn. Let me know what you like best! I might even abide by the winner. If you have a better suggestion, you can put it in the comments! (Since the responses to the “other” section are only viewable by me, as far as I can tell.) To be consistent with the other books in the series, two-word titles are best. 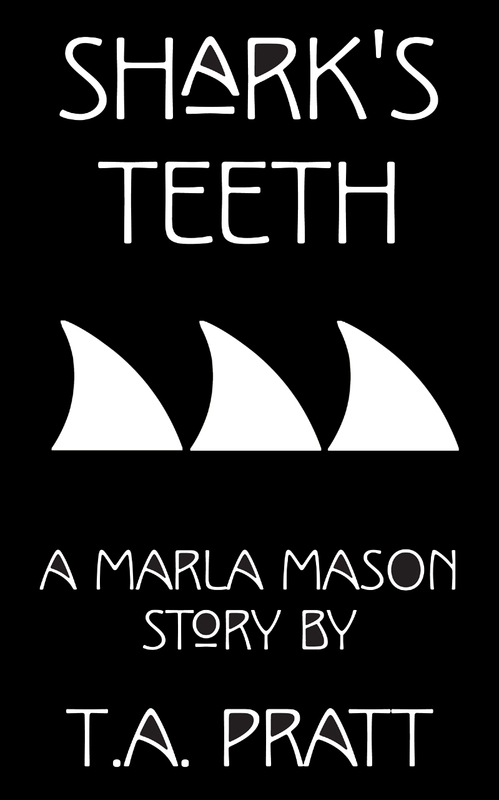 What Should I Title the Sixth Marla Mason Novel? Having read the novel this weekend for the first time in about a year, I can say: I really like it. I hope it sells a million copies so they ask me to write another book about the character(s). Go ahead and pre-order it to get that ball rolling. I also plowed through about a third of my Pathfinder Tales novel City of the Fallen Sky, and hope to finish revisions on that in the next week or so. And then I will have the strange experience of being able to spend weekends hanging out with my wife and kid again! Over the weekend I finished my first draft of City of the Fallen Sky, my Pathfinder Tales novel. I’m pleased with it. And I have 21 whole days to revise it before the August 1 deadline! It’s about 91,000 words total (though it’ll get a bit longer in revision). I wrote the last 40,000 of those words in the span of nine days. I am tired but happy. After August 1, my life gets a lot less deadline-y. No novels due until February 2012. That’s forever away! Definitely a problem for Future Tim. My story “Down with the Lizards and the Bees” is now 99 cents on Kindle, with an awesome cover by Jenn Reese. (Psst: hire her to do your covers too. She rocks.) Should be at B&N for the Nook in a couple of days. This is the first story I wrote about actor/psychic Bradley Bowman, who went on to become a major character in the Marla Mason series. Plus: it has trains to the underworld, monitor lizards, and, yes, bees! And I’m sufficiently fond of this story that I’ll link to it again: “We Go Back” is now in print and audio at Escape Pod. I was invited to write an original story for the 300th episode of Escape Pod (a huge honor). The result was novelette “We Go Back”, available now for you to enjoy in text form or audio. Or both! Since July 2nd, I’ve written 25,000 words on City of the Fallen Sky. I’m close enough to the end that I can count the number of scenes remaining. (I mean, it’s a lot of scenes, but it’s no longer innumerable.) I have the kid with me today, and my wife will be at work, so I’m solo parenting. Even so, I hope to get a little written today as well. Join me in wishing the child a long and peaceful afternoon nap. I expect to have a draft of the book finished by this time next week, which would give me two whole weeks to revise it! Such luxury! Time is running out to pre-order the limited edition of Briarpatch. There’s less than a week to get it, so if you were hesitating, it’s now or never time. There are only 150 copies to be had, you know? Go on, take a chance, maybe I’ll be eaten by a famous tiger or something some day, and in the ensuing tabloid publicity storm, my work will go up in value. Tell your disapproving spouse/parent/friends it’s an investment! The Alphabet Quartet is done: Behold, “Z is for Zoom.” Or go read the entire series of 26 flash pieces here. It’s been a wonderful six months, sharing a new story every single week, but all things must end. On behalf of myself, Heather Shaw, Jenn Reese, and Greg van Eekhout, thank you for reading. And thanks to Daily Science Fiction for letting us hijack their fine publication 26 weeks in a row.